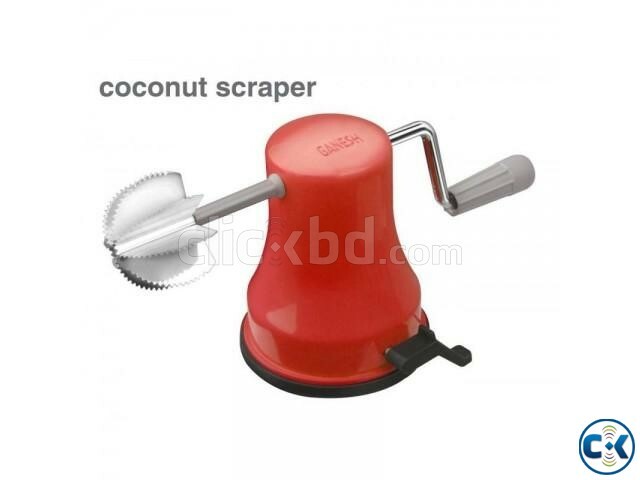 Category: Home & Living > Kitchen > Other kitchen equipments > > COCONUT SCRAPER. Vacuum Base - holds to any flat surface firmly. Scrap Coconut in few minutes with very less efforts. Sharp blades having long lasting life. Scraper to a strong and firm handle.